I was going to do a video for this one, but I didn’t want to have to bother with that whole process. Let’s just do a quickie text review while my pasta noodles finish cooking. Pours dark brown/black with a bit of ruddy amber here and there. Two-finger head dissipates quickly. Smells sweet, mostly raisins and licorice, standard for a porter. Taste pretty much follows the nose, with perhaps a hint more roast than anticipated. Very thin on the body. Overall this is perfectly fine, but there’s not much going on. I expect a lot more than this from a Firestone Walker 22oz bottle release. Bottle date is 5/3/13 so it’s only five months old — age shouldn’t be an issue here. Not that I’m getting oxidation notes or anything. According to the Firestone Walker website this one is best consumed within 120 days of bottling, so I’ve hung onto it a bit longer than recommended. They also say it’s fermented in their wood barrel system, although I’m not really getting any wood on this one. 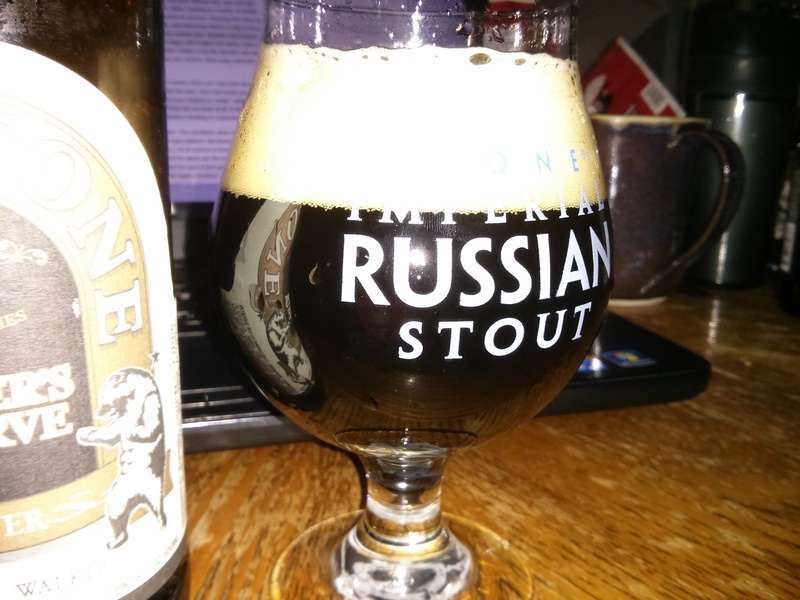 Overall, it’s a pretty classic robust porter, but nothing quite worth seeking out as amazing. I’d take Founders Porter or Great Lakes Edmund Fitzgerald any day. I’m about a week late on this episode, and I apologize. I started back to complete my undergraduate degree last week, and that’s definitely affected the amount of time I have to natter on about beer on the internet. This podcast is a priority for me, but doing well in the classes I’m paying a small fortune for is a higher priority, so the schedule may suffer a bit going forward until I can get things back in order. Anyway, we’ve decided to switch up the format a little bit. Previously we’ve done what we’ve been drinking first, and sometimes it felt like we had to squeeze a bunch of topics in at the end of the episode. So we’ve decided to try putting the more informal chat into a separate podcast so that those people who want to hear that stuff can still hear it, but those looking for the news and commentary can get it without having to wade through the rest. For this episode, it’ll be two separate files, but we may end up adjusting that as time goes on. You can always email us at beyondthepour@gmail.com with comments, questions, and suggestions. 0:00 to 1:42 Introductions and general comments. We’ve changed up our format a bit here so fans of the show should definitely listen to this bit. 1:42 to 8:45What we’re drinking right now. Ryan’s drinking the Firestone Walker Wookie Jack Black IPA, and I’m doing a Bell’s Consecrator Dopplebock. Ryan also makes passing mention of the Lost Abbey Track #5 release, and I talk about Bell’s lagers in general. 8:45 to 18:17 Revisiting prior topics covered on the podcast. First, responding to our friend Jamison’s (http://www.youtube.com/Tantrum777) criticism of the way we handled terroir. 18:17 to 29:00 Session Beer! 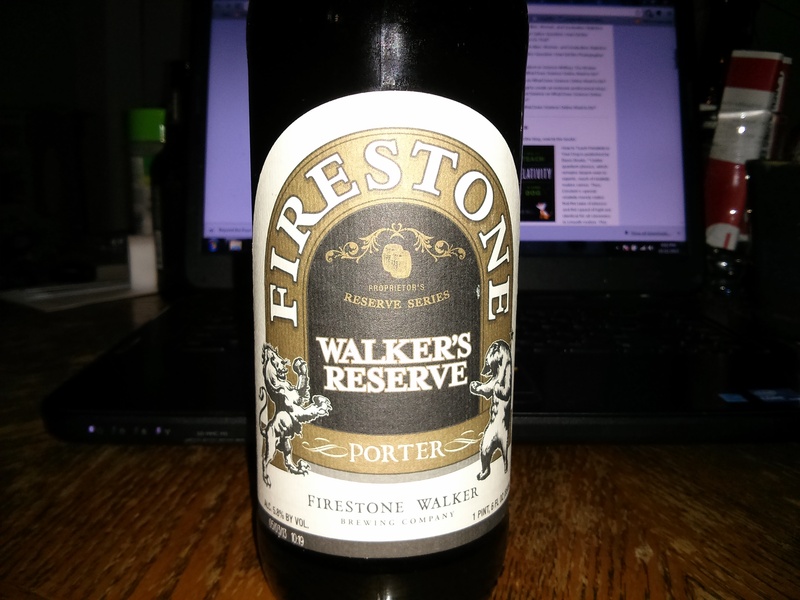 Firestone Walker believes that session beer should be local beer, and we agree. I also take back some stuff I’ve said about session beer in the past and discuss some comments from other beer writers on the concept. 29:00 to 32:17 Michigan Brewing Company has had its brewery locked by their landlord — apparently they weren’t paying their rent on time. Is Celis White a cursed beer recipe? 32:17 to 36:43 Bell’s possibly being sold? What’s up with Larry Bell wanting to get rid of the brewery? I think it’s really just a restructuring, although Budweiser’s been wanting to buy the brewery for a number of years now. 36:43 to 40:20 Grand Rapids ties in the Beer City USA poll with Asheville, NC. Does this mean anything? 40:20 to Sam Tierny, brewer at Firestone Walker, wrote a piece about beer competitions. Do these kinds of beer competitions mean anything? How about homebrew competitions? What’s the value of awarding medals to beers? No time codes here, but we talk about Imperial Pilsners and Imperial Witbiers, how many hops really go into Dogfish Head’s 120 Minute IPA, twelve ounce versus twenty-two ounce bottles, and Ryan makes an impassioned plea for more people to do bottle shares. And more, of course — it’s a fun time.